Adopting a humorous view towards life`s situations can take the edge off everyday stressors. Not being too serious or in a constant alert mode helps maintain the equanimity of mind and promotes clear thinking. 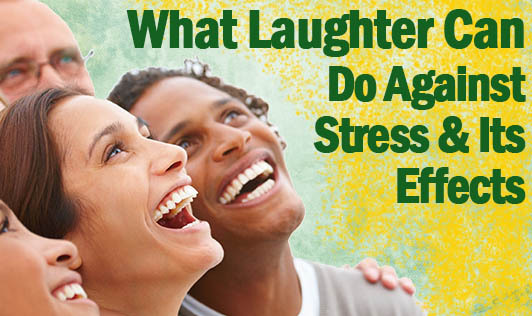 Being able to laugh stress away is the smartest way to ward off the effects of stress. During stress, the adrenal gland releases corticosteroids, which are converted to cortisol in the blood stream. These have an immunosuppressive effect. Carefully controlled studies show that the experience of laughter lowers serum cortisol levels and increases the amount and activity of T lymphocytes, the natural killer cells. Laughter also increases the number of T cells that have suppresser receptors. It increases muscle flexion, relaxation and fluent blood circulation in body.